Shepherds Bush Metropolitan Hammersmith and City line station is 5 minutes walk from the venue - turn right when exiting station and head west on Uxbridge Road. Shepherds Bush station is serviced by the London Overground line running between Clapham Junction & Watford via Willesden Junction. It is 10 minutes walk from the venue - heading west on Uxbridge Road. 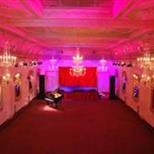 You are advised not to travel to Bush Hall by car - there is no public parking close to the venue. Please use public transport. From central London to Shepherd's Bush Green: 94, 148, 49, N207. From west London to Shepherd's Bush Green: 283, 72, 260, 207, 266, 295, 288. Buses 207, 260 and 283 stop within 2 walk minutes of the venue. Bush Hall does not have a car park. Street parking in the near vicinity costs ú2.20 per hour Monday - Friday 9:00am until 5:00pm and is free Saturday and Sundays. Parking restrictions may alter due to football matches. There are no steps in to the building. Bush Hall is all at ground floor level. Assistance dogs are permitted in the venue. The venue has a disabled toilet. For more information, please contact the venue directly on 020 8222 6955.